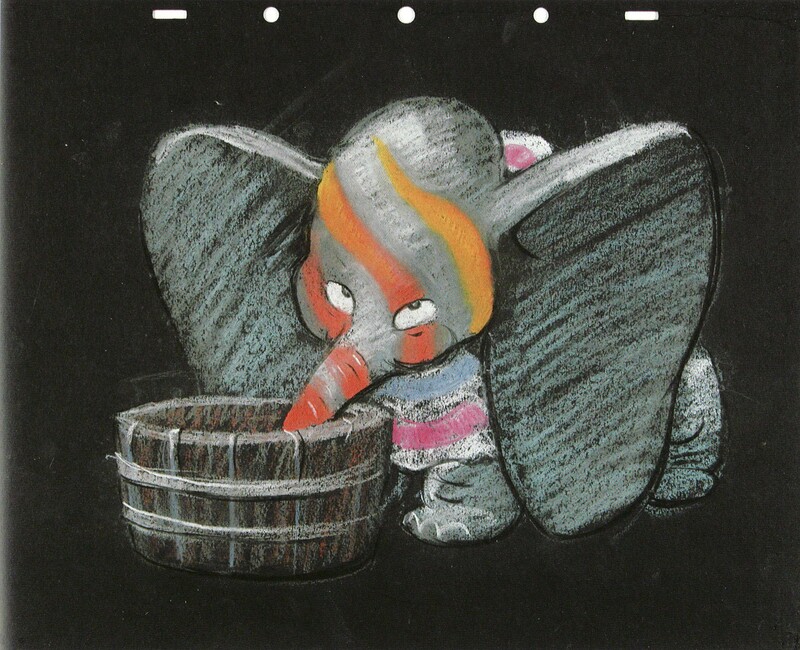 Dumbo (Disney 1941) drinks from a water barrel filled with champagne by mistake and starts seeing pink elephants on parade. Pink elephants? The Veuve Clicquot must have been exceedingly good that year. A certain lady who really likes that particular kind of champagne is celebrating her birthday today … so happy birthday, dear Dolcevita! Truly amazing graphic artists were having loads of fun at Disney back in ’41. The Disney exhibition at the Hypo Kunsthalle in Munich with its beautiful concept drawings (here’s Dumbo getting into the champagne) is on for just one more week. Hurry, hurry, hurry!